Discover the picturesque glaciers of the Arctic Region on this exciting 16-day cruise! Travel to Spitsbergen to see Walruses, Seals, Polar Bears and many Sea birds. Visit the remotest islands with unique geological formations, beautiful bays, beaches, fjords, glaciers and Polar deserts. Board the s/v 'Noorderlicht and begin your Arctic cruise immediately as we sail to Svalbard, setting course for Alkhornet, a seabird cliff with a large colony of Kittiwakes. Below the cliffs is a den with Arctic Foxes which scavenge off fallen eggs and chicks. We continue to Trygghamna to visit the remains of a 17th century English whaling station and an 18th century Russian Pomor station. 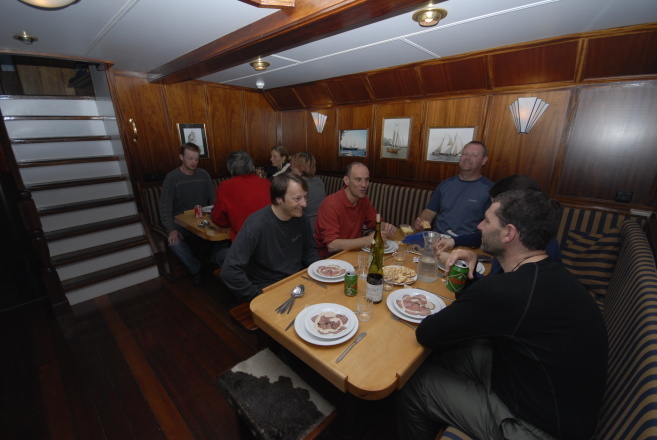 For the next fifteen days our stay will be aboard the s/v 'Noorderlicht', a schooner with a passenger capacity of 20. Today we visit the remains of Smeerenburg, the largest 17th century whaling settlement of Spitsbergen. We also land on Ytre Norskøya where there are many graves dating from the whaling days. The settlement of Smeerenburg on Amsterdam Island in north-west Svalbard, originated with Danish and Dutch whalers in 1619. It is one of Europe's northernmost outposts. Ytre Norskøya retains the remains of a whaling station that existed on the southern side of the island; possibly rivaling Smeerenburg in size. It was Europe's northernmost outpost ever established until the early 19th century, and the most northerly permanent settlement established of any size until the 1950s. Over the next few days we visit several islands. 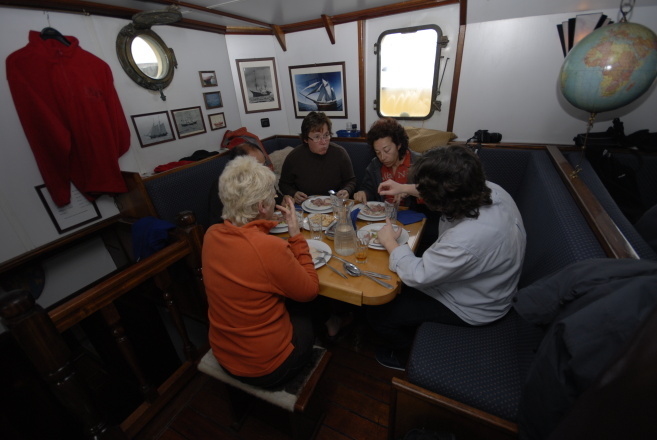 First, we sail either to Sorgfjord at the entrance of Hinlopen Strait, where we have a good chance of seeing Walruses, or to Murchison Bay on the northern side, where an extensive dry tundra is home to many Reindeers. Murchison Bay is also home to a Swedish research station. We continue through Hinlopen Strait. Marvel at the icecaps that encircle you, as you travel along this strait! Nordaustlandet (North-East Land) is the biggest island in the far north of Spitsbergen. 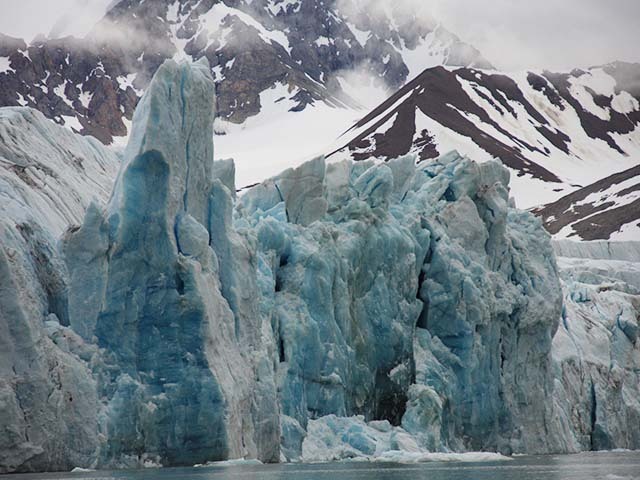 Most of its surface is covered by a huge ice-cap. The ice-front of this ice-cap extends along the coast for about 150 kilometers. Nordaustlandet is completely uninhabited and is a nature reserve. In the coastal regions of Nordaustlandet and its adjoining islands there is a great deal of Arctic wildlife. Here you can experience the real High Arctic, along with catching sight of Ivory Gulls, Arctic Foxes, Bearded Seals, Ringed Seals, Walruses, Polar Bears, Minke Whales and Belugas. We arrive at Lomfjord, a beautiful fjord surrounded by high mountains. We next visit Augustabukta, a lovely bay close to a glacier. Walking is trouble-free here as the glacier is crevasse-free. On a nearby cliff nests of the rare and beautiful Ivory Gull may be found, together with Black Guillemots, Reindeers, Polar Bears and Walruses! We next sail towards the spectacular Brasvell glacier. We may take an excursion on Svartknausflya, a desolate polar desert almost devoid of vegetation, or visit Wilhelmøya, which has raised beaches littered with sub fossilised whale skeletons, and where encounters with Polar Bears are likely. Sailing through the narrow Heleysundet (yet another one of the many seaways) between Spitsbergen and Barentsøya can only be done against the current, which proves to be a highly spectacular journey! As an alternative, if conditions are not favorable, we will sail through Freemansundet. 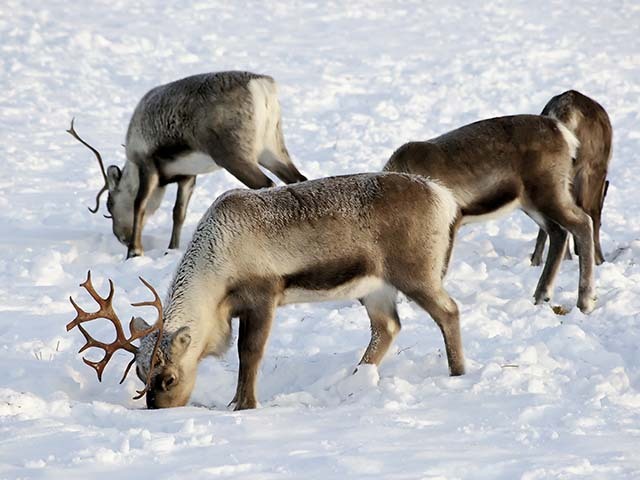 At Kapp Lee, we walk in to a beautiful valley, Rosenbergdalen, to see Reindeers. For those enthusiastic about walking, experience a great hike from here to Diskobukta! In Diskobukta, catch the large colony of Kittiwakes which nest in a canyon. Arctic Foxes and Polar Bears with young, often roam through the canyon, scavenging on young, flightless birds which fall from the ledges. On the raised beaches there are many sub fossilised whale skeletons. Kong Ludvigøyane is a breeding place for Walruses. On the islands there are also many remains of the whaling, walrus and polar bear hunting periods. Close encounters with Polar Bears are virtually guaranteed here. Continuing our exploration of southern Spitsbergen, we sail into the labyrinth of side fjords in Hornsund. Hornsund is an Antarctica-like fjord with jagged mountains and huge glacier fronts. One is sure to find the Brunnich's Guillemot, Arctic Fox, Polar Bear and Beluga here. We next sail behind Brepollen, a large glacial deposit at the head of the fjord. In this route we cruise along a beautiful glacier front. Keep a good look out for Bearded Seals and Polar Bears. The geological formations in this area are magnificent and colorful. We also pay a visit to the Polish research station at Isbjørnhamna, where the friendly crew will discuss their scientific programs with us. On our way to Longyearbyen we sail into Bell Sund to reach Ahlstrandhalvøya, with its interesting geological formations and the remains of the 20th century Beluga hunting. It is still a good area for observing Belugas. If time permits, we will pay a visit to Barentsburg, the only inhabited Russian settlement in Spitsbergen, or to Colesbukta, an abandoned Russian coal mining settlement. This is the last day of the journey bringing your Arctic Adventure Tour to and end upon disembarkation.